Nu är det snart dags. Årets största, och sista, Hallmark event. 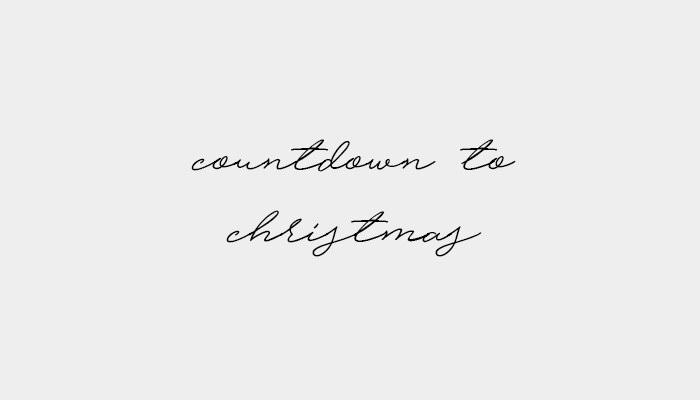 Countdown to Christmas. Jag har sett alla filmer Hallmark har släppt i år och recenserat dem, och detta kommer inte bli något undantag. Countdown to Christmas är dock så stort, så att vi måste ta och gå igenom det lite innan det faktiskt inträffar. Först och främst kommer jag att ta upp alla filmer med dess handling, för att sedan bara ta upp lite frågor kring årets Countdown to Christmas. Kommentera gärna ifall det är någon av årets Countdown to Christmas film som intresserar er! Det kommer även komma en del två med julfilmer från Hallmarks andra kanal, Movies & Mysteries. "Loosely based on Pride and Prejudice, event planner Elizabeth Bennet is initially at odds with Mr. Darcy, the owner of Pemberley Manor, which she intends to be the venue of her next event, but soon finds herself irresistibly attracted to him." "Stars seem to be aligned as Joy sees her former crush, Ben Andrews, at the hospital. At first, Joy is focused solely on helping her Aunt heal; even taking over her position as chair of the local Cookie Crawl competition. Eventually, she begins to let Ben in and remembers there’s no place like home for the holidays. The pair work together on the Cookie Crawl to make the event a success." 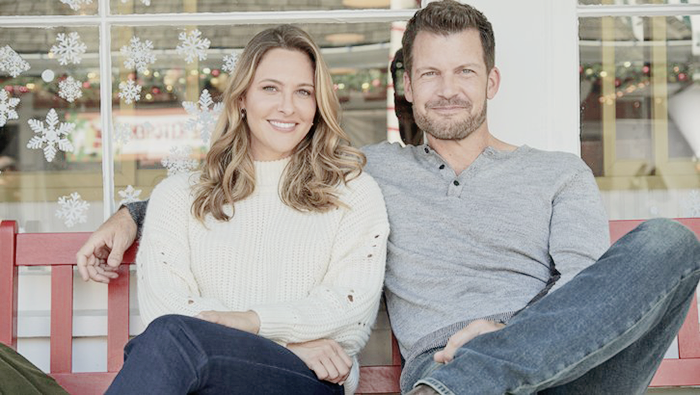 "Los Angeles television producer Maggie Baker unwittingly falls for Danny Wise, the son and former producer of his mother’s popular annual Christmas special Julia Wise Lifestyle. 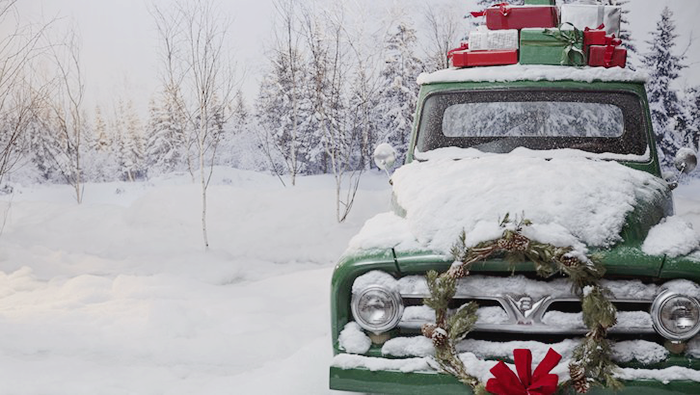 When Maggie’s secret plan to reunite Danny and his two brothers with Julia during the live broadcast in Vermont goes awry, Maggie is reminded that above all, it is the love for family and friends that makes the merriest of Christmas." "Interim school superintendent Eve Morgan finds herself in a tough spot when she is assigned to shut down a school’s failing music program and must come to terms with here musical past." "Ellie Hartman is an aspiring crafter working in her small town’s bakery making famous Christmas Kringles. When the new, big-city CEO Nick Carlingson visits the bakery, he arrives filled with modernization ideas destined to lay off many employees." "A Chicago-based business executive travels to Memphis to secure one of the city's oldest family-owned banks. While in Memphis, Laurel reunites with an old flame Clay, a local music promoter with loftier aspirations." "When Lisa takes a last-minute Christmas trip to her hometown of Evergreen, she finds that the historic general store has been closed. Using her skills as a professional retail designer, Lisa decides to keep local tradition alive and help the good people of Evergreen bring the store back to life. As Lisa charms a local contractor named Kevininto working with her, the pair find themselves facing one surprise after another as they restore the store to its former glory." "Burned out from the hubbub of the Chicago gallery world, artist Kelly returns home to the picturesque Grand Valley just in time for Christmas. Maybe her favorite town’s shining season will reinvigorate her love of art and guide her down her next path. Leo, businessman and all-star dad to his children, struggles to balance his time this holiday season. When he is assigned to review a hotel in Grand Valley for its value, he sees this as the perfect opportunity for a Christmas family vacation." "Katie, a former professional ice skater, is hired by the king of San Senova, Alexander, to help his daughter in a Christmas ice skating performance. As Katie spends time in the castle and with the king, she and Alex begin to develop feelings for each other and ultimately fall in love. But will the tradition-loving people of San Senova allow their king to make a foreigner their queen?" "Darcy has always worked hard to prove herself and be successful on her own terms, even choosing to start her own company, rather than work with her father. 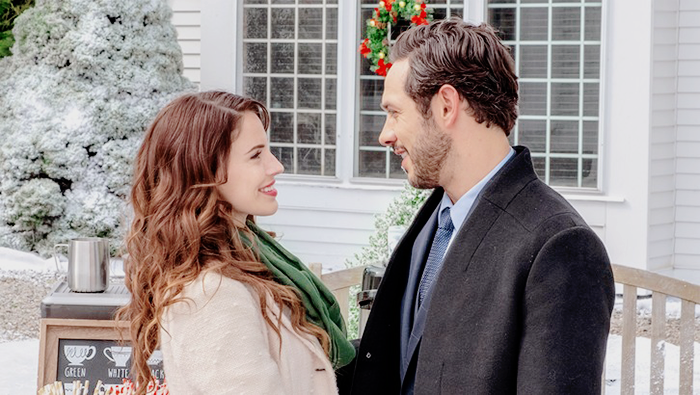 Returning to her hometown for Christmas, Darcy reconnects with an old rival, restaurant owner Luke, and they are forced to plan a charity event together." "Christmas is fast approaching and years of long workdays employed at New York’s top corporate law firm are about to pay off now that Lucy Toomey will be made partner after the New Year. However, when Alice, her older sister with special needs, unexpectedly passes away, Lucy returns back to Nilson’s Bay." "Bure plays Noelle, a holiday hater who toils in a department store in which she is accidentally locked on Christmas Eve. There, she meets a woman who identifies herself as Noelle’s guardian angel and introduces her to several “ghosts” of Christmases past, present, and future." "Mingle All the Way is a new networking app designed to pair busy professionals together for upcoming events, without long-term romance. Molly, founder of the app, is determined to prove to her family that it is a success. Therefore, she joins the app, and meets another busy professional, Jeff." "Christmas in the charming town of Briar Falls will be bittersweet this year when architect Nell goes back to her hometown having been given the job of turning the historic Majestic Playhouse into a modern multiplex, much to the town’s objections." "After stepping down as CEO of her dream job, Maddie heads home for the holidays to gain perspective. She finds herself running into her old high school sweetheart Carter, and tensions quickly arise. 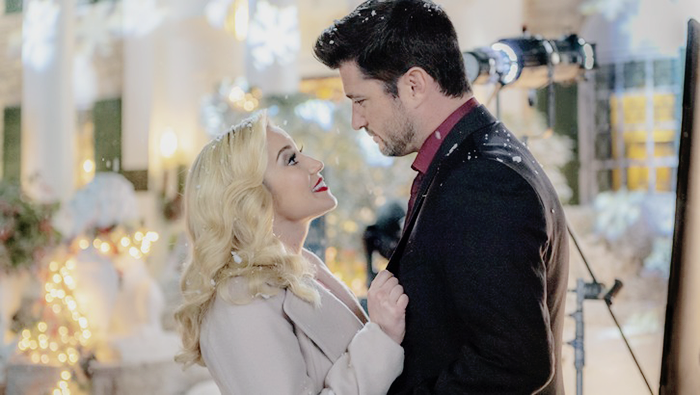 When forced to put together a Christmas dance for the local high school, Carter and Maddie find themselves putting their differences aside and rediscover what made them fall in love all those years ago." "Heidi, who initially left her small town of Pleasant Valley with the dream of one day becoming a successful painter, has put her own art on hold to excel as an art gallery curator. Now, a week before the gallery’s big Christmas party, she must return home to watch her niece and nephew." "With Christmas just weeks away, the architecture firm Taylor works for enters her in a contest in which the teams will design and build life-sized gingerbread houses. Taylor stumbles into a local bakery and meets Adam, a baker and single dad. In an act of desperation, Taylor convinces Adam to partner with her for the contest, arguing that winning would give the bakery and his designs much-needed exposure." "Claire is a cookbook author, crafting expert, and television personality whose name is synonymous with perfection. As she contemplates retirement, her daughter Kara is poised to become the new face of the Livingston brand. The only trouble is, Kara can’t cook. Or sew. Or do any of the signature things her mother is known for." "When Elle Bennet decides to reunite her college friends for a special Christmas celebration, her plans are thwarted by an opportunity at work she can’t pass up – spearheading a Christmas campaign relaunch to prove she’s ready for a career-altering promotion. Much to her surprise, she’s forced to team up with advertising campaign ‘fixer’ Max, who has a completely different take on the Holidays." 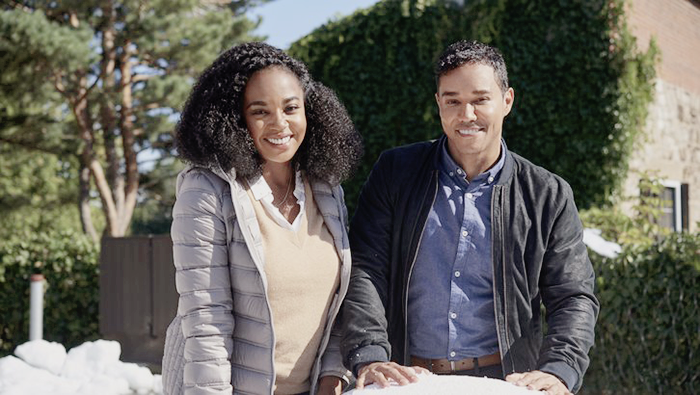 "When architect and Christmas amateur Steven finds himself hosting his family for Christmas, he recruits holiday coordinator Gretchen to bring holiday joy to his home. Gretchen’s expert Christmas spirit brings Steven’s family together, but neither expected it to bring them closer to each other." "When a group of orphans become stranded in Hope Valley for Christmas, their caretakers — sisters who have a mysterious backstory — lead Bill to investigate the circumstances of their arrival. He discovers the sisters and their orphanage are in jeopardy, so Abigail and the other residents rally to make it a Christmas to remember for the orphans. Elizabeth, who is preparing for the birth of her child, organizes her students to engage in selfless gift-giving." Vad tycker jag om årets Countdown to Christmas? Jag tycker faktiskt att årets startfält verkar kunna bli hur bra som helst. 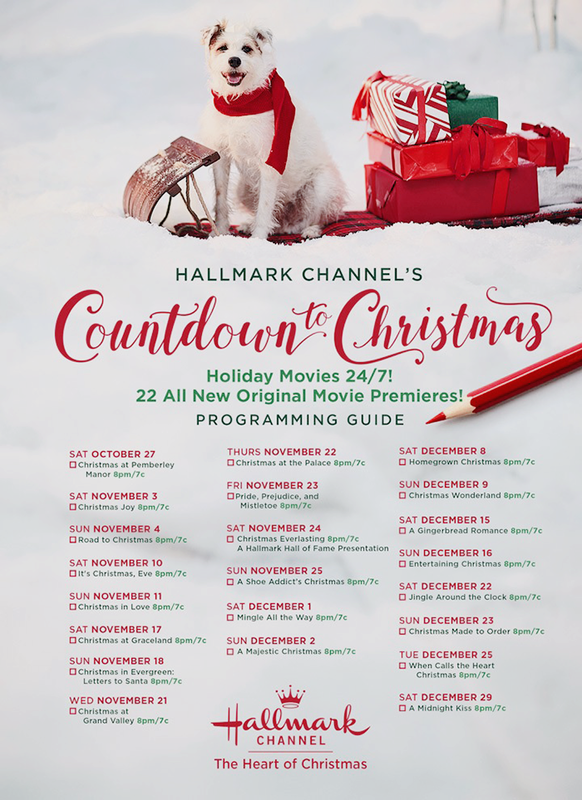 Vi har till och med att antal filmer med poc (Christmas Everlasting, A Majestic Christmas, A Gingerbread Romance) i huvudroller, har det någonsin hänt med Hallmark förut? Förutom det så tycker jag även om skådespelarvalen de har gjort till dessa filmer. Vi får se många av mina favoriter, bland annat Michael Rady, Danielle Panabaker, Chad Michael Murray, Danica McKellar och Luke Macfarlane. Tror, och hoppas, att det blir en bra Countdown to Christmas i år. Vilka filmer ser jag mest fram emot? Jag tycker det är ganska svårt att välja filmer som en tror kommer bli bäst med Hallmark, främst nu också eftersom alla skådespelare och så inte är bekräftade. Men om vi ska ta ut några som har fångat mitt intresse så är det A Midnight Kiss, Chistmas Wonderland, Christmas at Grand Valley, Christmas at Pemberley Manor och Christmas Joy. Christmas Joy tycker jag låter bra eftersom att den baseras på en bok. Christmas at Pemberley Manor tycker jag låter bra för att den påminner mig om Christmas in Homestead. Christmas at Grand Valley låter bra för att den verkar ha en hög mysfaktor. Christmas Wonderland låter bra främst på grund av Emily Osment. A Midnight Kiss intresserar mig på grund av Adelaide Kane, och det faktum att det är en nyårsfilm. Jösses vad många intressanta filmer! Hmm Graceland låter ju som den kan vara i min smak, Pemerly också och så måste jag ju se When Calls The Heart då jag gillar serien och nästan redan nu kan se hur fin denna kan bli!